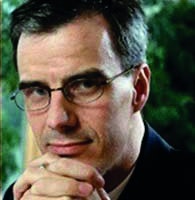 Tomi T Ahonen - Author, Consultant and Motivational Speaker - Author of twelve bestselling books on mobile, already into multiple printings and translated into several languages, Tomi's books and theories are quoted in over 120 published books by his peers. The former Nokia executive lectures at short courses at Oxford University and is regularly quoted in the press in over 400 articles published in over two dozen languages on all six inhabited continents. Tomi is often seen on TV talking about mobile and digital trends and has been seen at over 250 conferences on over 80 cities in over 50 countries and attended by a cumulative audience of over 100,000 people. His reference list includes most major tech companies in the Fortune 500 including Axiata, BT, China Mobile, Google, Hewlett-Packard, IBM, Intel, LG, Motorola, Nokia, NTT DoCoMo, Orange, RIM, SK Telecom, Telenor, TeliaSonera, Tigo and Vodafone, etc.